So... Genealogist Convenience Fee = $6.50, right? That's pretty cool. 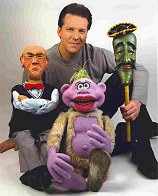 I love Jeff Dunham!